This domain was bought in 2012, when I decided to get rid of my old network called "himmelsspiegel.net". Obviously I change my domains like underwear (Uhm… don't take this sentense too literal, haha :D), but I think this time it will last. Here you will find my small collection of sites dedicated to video games, anime & manga, movies or simply to the things that caught my attention. The second layout of "midnight-cloud.net" features a picture from the game series "Silent Hill". I love these games but every time I try to play them it freaks the hell outta me. Now I can finally say: "The Dark Cloud Network" has a new layout. Now. After 6 years. This seems to be crazy? YES, OF COURSE, IT IS! But now feel free to browse around, thanks for visiting and I hope you enjoy your stay! 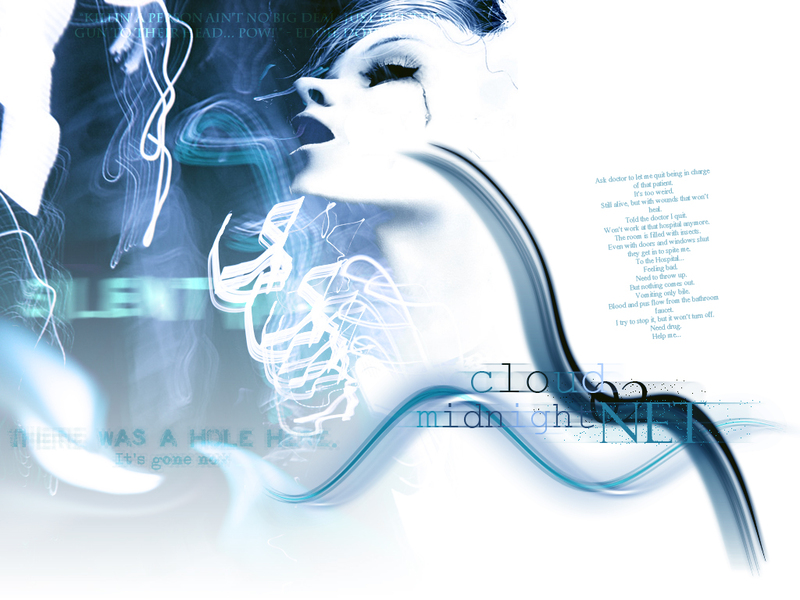 The collective"midnight-cloud.net" has a new layout! Fury is online but not finished yet! Book of Days is finally online! I joined Stargazer, a wonderful webclique for lovers of stars and the night sky!